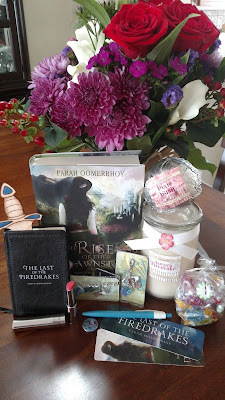 Reads All The Books: The Rise of the Dawnstar by Farah Oomerbhoy - Review and Giveaway! 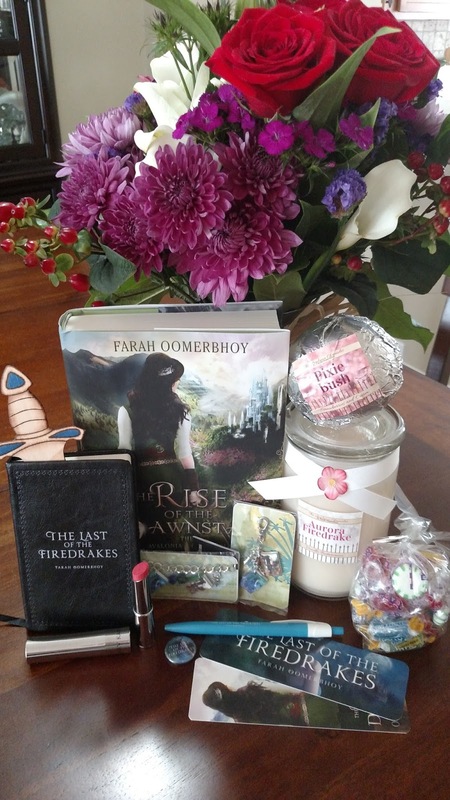 The Rise of the Dawnstar by Farah Oomerbhoy - Review and Giveaway! Aurora might have survived her first battle against Morgana, but the true fight to save her kingdom and restore her throne has only just begun. I was beyond excited when this book popped up in my email. I read The Last of the Firedrakes (See my Review by clicking the title) way back in 2015 and was continually checking to see when the follow u would be coming out. Two long years and it's here and well worth the wait. 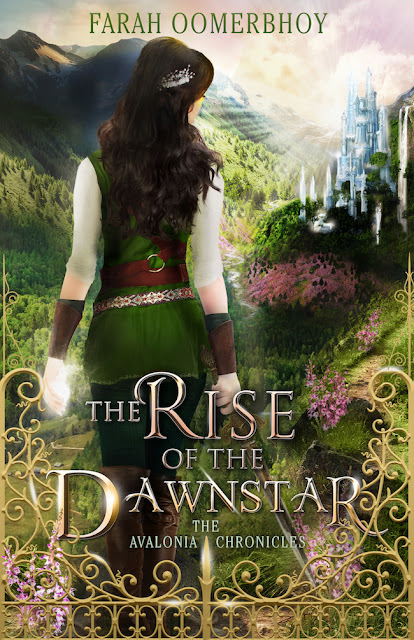 Rise of the Dawnstar picks up right where we were left in Last of the Firedrakes, with Aurora on the run, Kalen and Rafe by her side. I love how Farah simply just throws us right back into the action, that being said if you haven't read The Last of the Firedrakes you will be lost so make sure to get caught up before diving into Rise of the Dawnstar. My favorite part from the first book is still present in this one, Farah Oomerbhoy's magnificent world building. "I pulled over in ny bed of damp moss and fallen leaves as muted sunlight shone through the trees and woke me to another day. The earthy fragrances of the forest floor lingered as dewdrops danced in the cook morning breeze, dazzling the woods with a myriad of colors, spectacular in the light of first dawn." I mean come on...how gorgeous is that? Can't you just see yourself nestled down on the damp forest floor watching the world slowly come awake while you do the same? 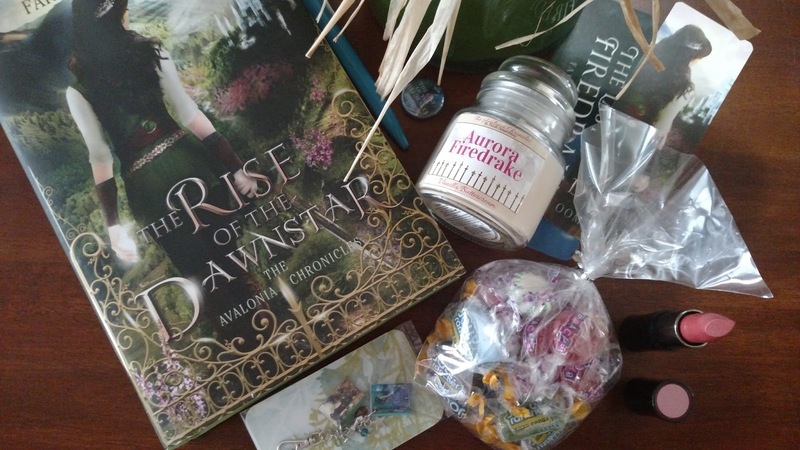 I am enthralled with her words and the beauty she creates as she gives us this world of Avalonia. It is so easy to get lost in all the descriptions but and this is a huge selling point for me, Farah does not over do them. She doesn't bog us down with every little descriptor, she gives us just enough to make the world come to life in our minds, so we can feel ourselves standing with the characters in the forests, on the ships, in the towns. Farah spins such a beautiful web that you can't help up throw yourself into it hoping to get stuck. Another favorite aspect for me with this series is the strength of Aurora. There is no question that she is struggling, that she isn't sure how to help, or if she is hurting more than helping. She is full of self doubt, fears, and worries. However, she never backs down, she never gives up. She is still a bit naive, but instead of just going along with things or always thinking the best of others she has started to look through her rose colored glasses with a bit of a jaded eye. She knows now that everyone isn't looking out for her or the countries best interests. Even when she thinks she can trust someone it often turns out she should not have. Everyone in this world is out for something and Aurora is starting to see that, but she doesn't let it stop her. She's finding her way, she's discovering that her strengths do not lie only in her magic, she's growing and becoming what I hope will one day be a true Warrior Queen. I am in dire need of the third book now and so very hopeful that it comes quicker than this one. I don't begrudge an author needing to take their time to make sure their work is up to their standards I want the best book possible as much as they want to give it, but when you leave off like this one did I am not sure a two year wait is gonna work out for me, haha. If you love beautiful world building, strong female heroines, handsome men, cunning Fae, suspense, twists and turns, fantastic character development, a cliff hanger (ack! ), and an all around great read this is a wonderful fantasy series to pick up. I read this in one sitting because it simply just pulls you right into the world and action and you don't want to look away until you get to the end. There are parts of the story that won't surprise you and others that will take you completely off guard and have you shaking your head, perhaps shouting out at the book Nooooo! In the end you are just going to want more. I need more, I need to know what happens, I need to see Aurora fulfill her destiny, I need HEA's...all the HEA's, I need everything and I know that though my angst may ratchet to the highest level Farah is going to give us all the book we need when the next one comes out and I can't wait! For each stop on tour, there will be a special number at the end of the post. Collect all the numbers, add them up, and enter to win one of three prizes!